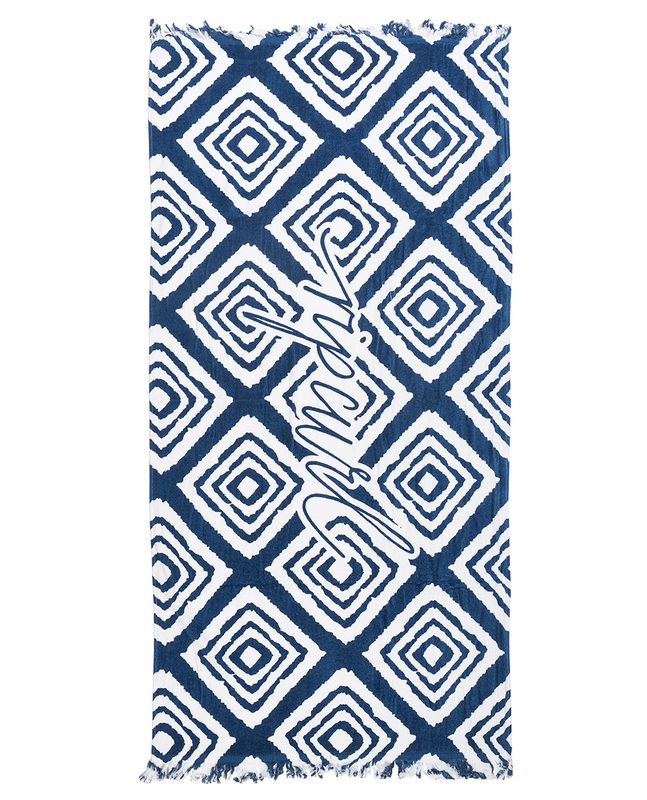 87 x 170 cm beach towel. Geographic print and enlarged logo. Tear effect along the shorter sides.